Here is a little lesson on Botswana! Have a look and see why we are such a great country! 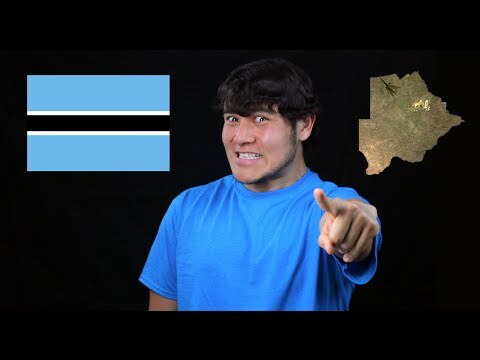 In this educational video he explains why Botswana is so great, from the diamond mines to our international relationships and how the Okavango works! Enjoy the video and let us know what you think! More great info about Botswana below the video! Want more facts on Botswana? The coat of arms of Botswana is based on a shield supported by two zebras. One zebra is also holding an elephant's tusk, the other a stalk of millet. According to a report in 2007 there are more African elephants in Botswana than anywhere else. The number of elephants in Botswana was given as 133,829, with Tanzania in second place on 108,816 elephants. In the !Xoo language of Botswana and Namibia, spoken by about 4,000 people, there are 112 distinct sounds (there are about 40 in English). The ! at the start of !Xoo represents one of the five basic click sounds in the language.